0 Comments Published by Cedric Benetti on Monday, July 21, 2008 at 7/21/2008 08:03:00 PM. The fabulous archives of one of the best fashion magazine publishers has finally been put online, for free. 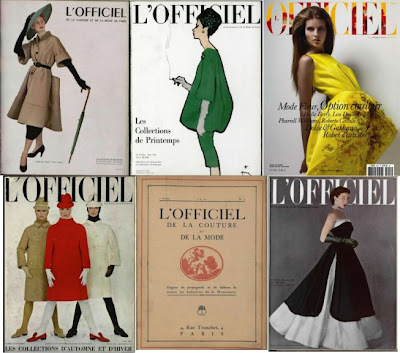 The éditions Jalou have opened their extensive archives of visuals from some 200.000 pages worth of magazines such as the historic L'Officiel, founded in 1921, L'officiel Hommes, L'Optimum and lots of others. L'Officiel's numerous international editions are also visible for free. The site's search engine is excellent, and you can even view the pages on a full screen viewer. Go to the archives NOW!